If you’re looking for great deals on soccer jackets to keep you warm whether you’re on the field or on the sidelines, you’ve come to the right place. At soccerloco, you’ll find a wide selection of soccer jackets on sale that will keep you comfortable and flexible without making a dent in your wallet. 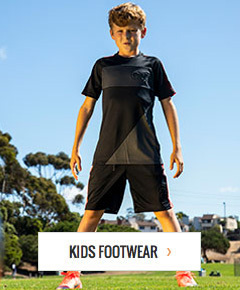 We're the premier online destination for all the soccer equipment, cleats, and apparel you need at the web’s lowest prices. We carry top brands that you can trust for quality apparel, including Nike, adidas, Puma, Under Armour, and Warrior, so bundle up against the cold with clearance jackets so you can stay on the field longer. Shop soccerloco now for a comfortable, warm soccer jacket on sale to keep you cozy while you train or cheer for your favorite teams.